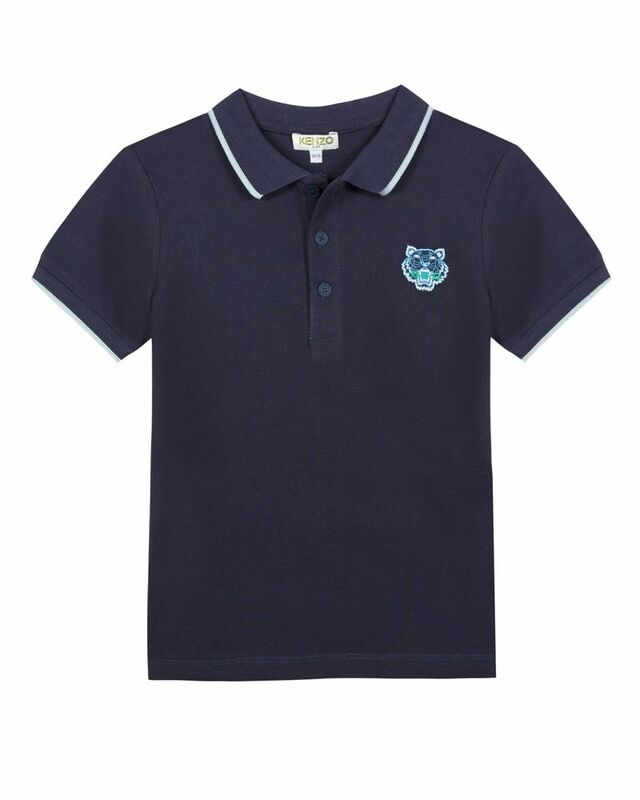 Kenzo soft cotton navy blue polo shirt with tiger logo detailing on chest. 100% Cotton. Made in Turkey.